Heanjia offers annealed and soft sintered woven wire mesh for applications that require special shapes or processing. We can supply the mesh in full rolls, slit coils or precision further processed mesh products. 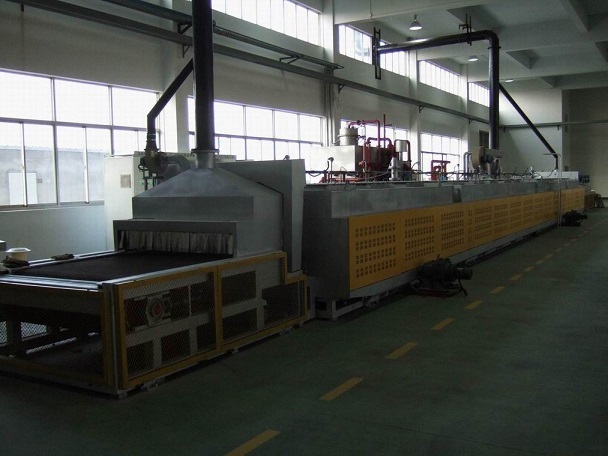 The main purpose of annealing wire mesh is to soften it for improved fabricating, it can remove the cold work and spring tension caused by drawing, weaving and coiling. The annealed mesh is better for subsequent stamping, forming, pleating, winding, and other operations. 2: Fabricated into a new shape, with no loss of the shape over time, as the material loses memory of the pre-annealed shape. 3: Bonding the wire cloth, eliminating loose wires during stamping or forming. The bonds at wire intersections are surface bonds, producing a soft material that can be easily formed and shaped. While the bonds can break under pressure, they are normally strong enough to hold during forming. 1: Small, precise shapes that must be bent, such as mesh for microphones in small electronic products. 2: Stamped parts without loose wire edges, or that will be bent during processing without loosing the shape of the mesh. 1: slit the mesh to size before annealing. Annealed mesh is more difficult to slit properly. 2: clean the lubricant to avoid incurring any carburization from the oils. Especially the heavier weaves or meshes which contain inordinate amounts of lubricant. 3: “furnace ready condition” – no cardboard cores, paper or tape. Finer meshes should be wound on perforated stainless steel cores for best results. 4: Heat treatment: pure dry hydrogen, argon or vacuum furnace heat treatments.